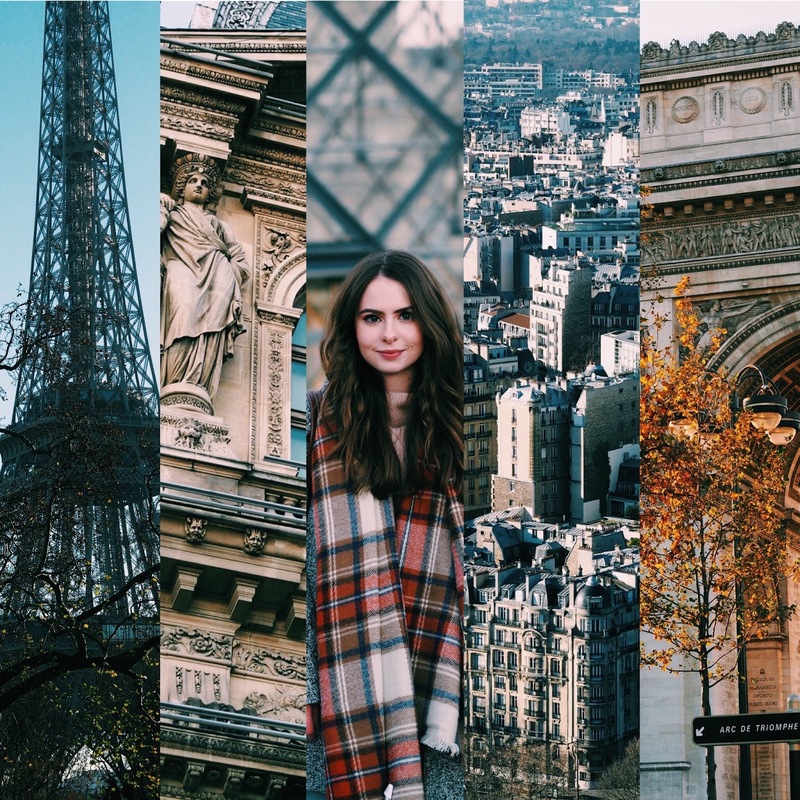 On Tuesday my best friend and i hopped on the Eurostar for a day trip to Paris; when i say hopped i do mean got up at 4 AM and wrapped myself in a blanket scarf until we were firmly in the departure lounge but none the less there was at least some hopping involved. Like i’ve done with other cities and counties i’ve visited, today i’ve compiled all of my favourite photos together in one big visual post. However for those of you who prefer video i’ve also filmed my day in paris for my youtube channel; click below to watch! You’re going to need to sit down with a hot drink for this one, there are lots and lots of photos. The first thing we did was go up the Eiffel Tower, with only a day in the city we wanted to do this first so we didn’t risk missing out. The view was incredible especially because we were so lucky to have such a bright, beautiful crisp day in the city. We made our way to the Arch De Triomphe and everywhere else really, using the metro. Did you know that the Paris metro has double decker trains??????? We didn’t and it was amazing. Next was shopping on the Champs Elysees which felt really surreal, the pavements were so wide and everything looked so perfect – it was one of my favourite places we visited that day second to the grounds of the Louvre. From the Champs Elysees we travelled back underground to the Louvre, although it was closed we could still get into the grounds which quickly turned into my favourite place in Paris. The sun was just setting and it put everything into a perfect light. Just as it got dark and the bells started to ring we arrived at Notre Dame; to my disappointment there weren’t any novelty hunch backs. To end our day we took a walk by the river seine and went for hot chocolate in a cafe next to Notre Dame. We managed to pack in 5 of Paris’ attractions into our day and tackle the metro head on not once getting lost! I’ve done New York, i live in London but Paris is by far the most beautiful city i’ve ever been in. Your pictures are amazing! I want to visit there someday.